NorthWest Catering and Event Hire can offer exhibitors at the Northern Angling Show a discount against exhibition furniture hire for the event. Previous special guests include Ali Hamidi & Dean Macey from ITV's The Big Fish Off, Matt Hayes, Alan Blair, Julian Cundiff, Bob Nudd, Darrell Peck, Des Shipp, Rob Hughes, Steve Briggs, Des Taylor, Adam Penning and many more! 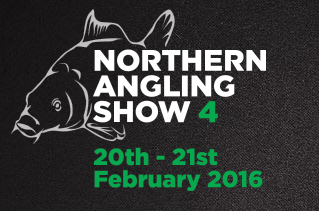 Once again, the biggest angling brands and retailers return to the North West for an un-missable weekend!